This e-commerce packaging for bottles offers added value for both retailer and consumer. A premium wine packaging, which also has a dual focus on product protection and enhancing the consumer experience. 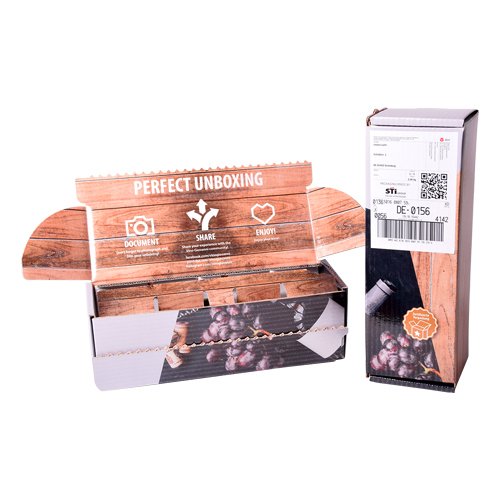 As the packaging is opened, consumers are invited to share their unboxing experience and delight with friends via social networks.